Bluetooth speakers are undoubtedly one of the most popular gadgets around. A few years back, what started off as a way to appeal to the urban youth has now evolved into serious business line for audio makers. As a result, the very nature of the products have evolved manifold over the past years. Wireless Bluetooth speakers essentially started off as a makeshift alternative to powered desktop speakers, and the general consensus usually was, “this is about as good as you can expect.” However, today’s market has some seriously appealing wireless Bluetooth speakers from a wide range of manufacturers. From the likes of Bose and Bang & Olufsen to more mainstream companies like JBL, the latest wireless speakers are built to be good sounding speakers that also match the design standards of an urban lifestyle. Additionally, while 2016 was the year where speakers became multifunctional, 2017 has been the year where the core audio performance has been improved. As a result, you now have more speakers within reasonable budgets, which sound really, really good. When it comes to core performance, Bose has truly outdone its competitors this year. 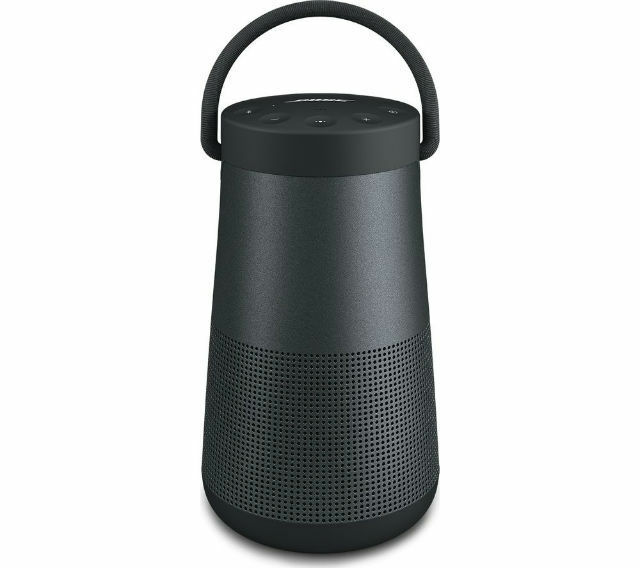 The lantern-shaped wireless speaker is the first 360-degree firing speaker from Bose in the wireless and portable space, and is a nod towards the trend of cylindrical speakers being belted out by all audio companies in this industry. The shape has had benefits, as the SoundLink Revolve+ does not need to be placed at a specific angle to get the best audio output, and that makes considerable difference when it comes to everyday usage. 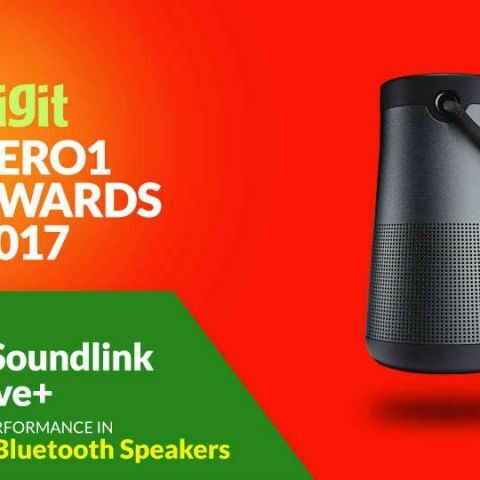 Alongside, it produces commendable audio performance, with clean, well-composed and superlatively balanced sound that makes it stand out among a crowd of other Bluetooth speakers. The Bose SoundLink Revolve+ excels in pronouncing the mid frequencies, all the while retaining deep lows and clean highs. All this is coupled with the sweet, warm timbre, and very low distortion levels in its sound. The design of the speaker may be a bit polarising, but there is no doubt to its premium positioning from the single sheath metal body and indented rubber buttons.Click here to buy. To sum all that up, the Bose SoundLink Revolve+ is the Zero1 Best Performing Bluetooth Speaker of 2017. The Wonderboom is a typical example of what Logitech’s audio specialist arm, Ultimate Ears, has always excelled at – build small, ultra-portable and impressively good-sounding speakers at affordable prices. While the UE Roll 2 was our budget pony for 2016, this year’s Zero1 Best Buy award has gone to its new family member – the Wonderboom. The UE Wonderboom retains the depth of low frequencies, and vocals and soaring guitar riffs also sound well balanced and clean, in tandem with bass lines. Its small dimensions mean that it can fit into almost any corner of tightly packed backpacks, and the reasonably small price tag means that even more people can afford it.Click here to buy.